NOTE: The location of the Brewster hearing has been changed! Correct info is below. Yes, thank you Governor Cuomo for this ban. 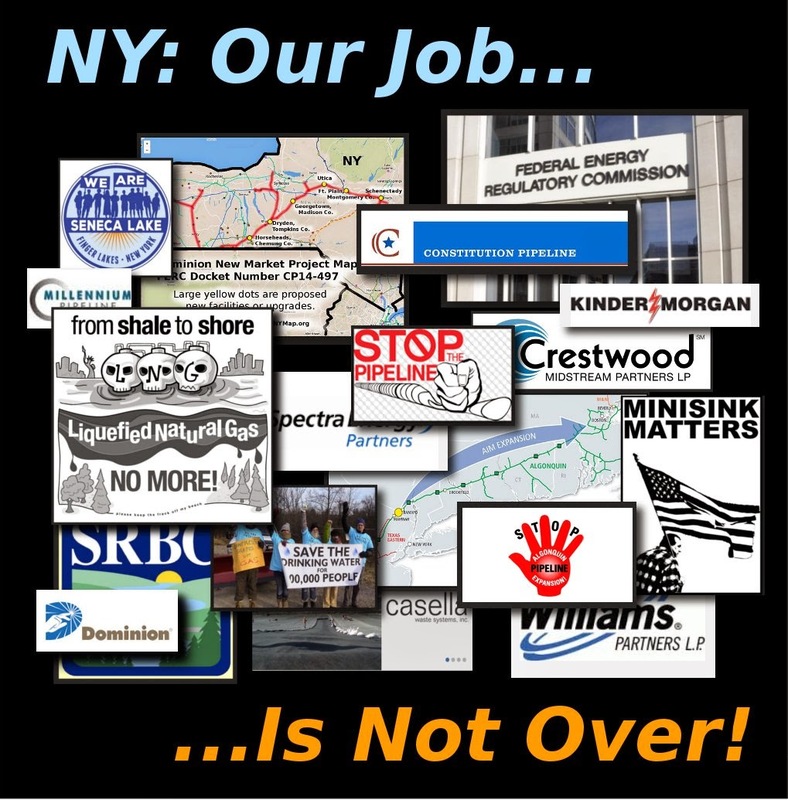 We the People feel like you have finally heard us on High-volume Hydro Fracking. For this, we congratulate you. You will be remembered as the man who banned Fracking in a Shale State. stood up to the most powerful industry on the planet. the gratitude we all felt when we heard the news. Don't go to sleep, NY. Don't disband your groups just yet. waste, pipelines, compressors, CNG, LNG, and storage facilities. 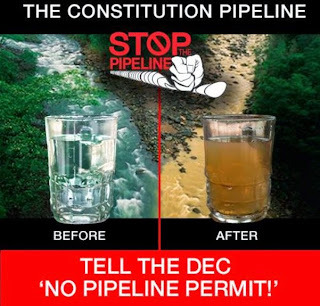 Spectra Energy's "Algonquin AIM Pipeline"
and the joint project by Williams Partners / Cabot Oil+Gas blasphemously called the "Constitution Pipeline"
More info will be forthcoming on this. Mark your calendar now! and the start of construction is dangerously close. survey access. But now the ground is frozen, so they cannot complete this work. which gives them eminent domain power, until these surveys are done. eminent domain proceedings. But this is legally dubious. 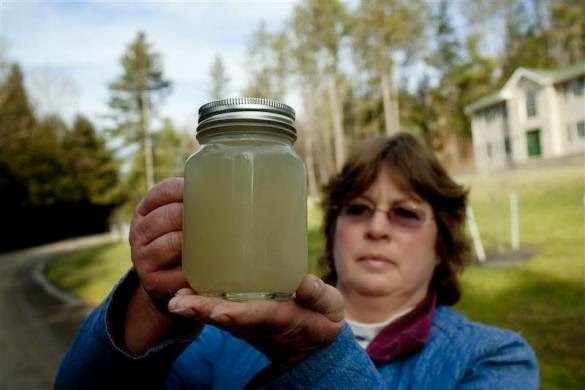 Section 401 Clean Water Act. (@ 33 USC § 1341). IMO-- The prospects of stopping these projects through administrative means are grim. contact the Center for Sustainable Rural Communities. 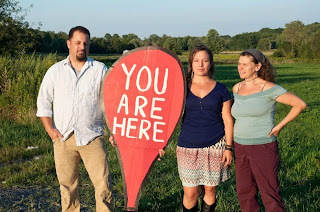 email: landownerhelp@ruralcommunities.org or contact Stop the Pipeline. These groups can assist you finding an attorney to help. please call Alex Lotorto @ 570-281-2215 or contact me (Bill Huston). Comments will be received on the DEC permits until Feb 13, 2015. NOTE: This is the new/changed venue. Issues Conference: Pursuant to 6 NYCRR 624.4(b), a pre-adjudicatory hearing issues conference will be held on Thursday, February 12, 2015, at 10:00 AM, at the Holiday Inn Express, 2666 Corning Road, Horseheads, New York, 14845. If needed, the Issues Conference will continue on Friday, February 13, 2015. Watch for a more detailed alert on this coming soon. Both Algonquin AIM and the Constitution Pipeline are under FERC permitting authority. 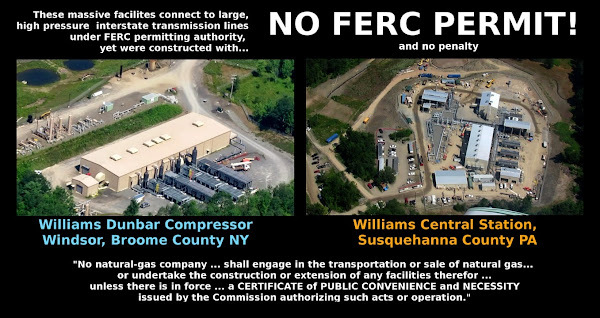 As you may know, FERC is considered by many of us to be a Rubber Stamp Machine,a rogue agency which does not follow this nation's laws. failing to consider cumulative impacts, and impacts of connected projects. 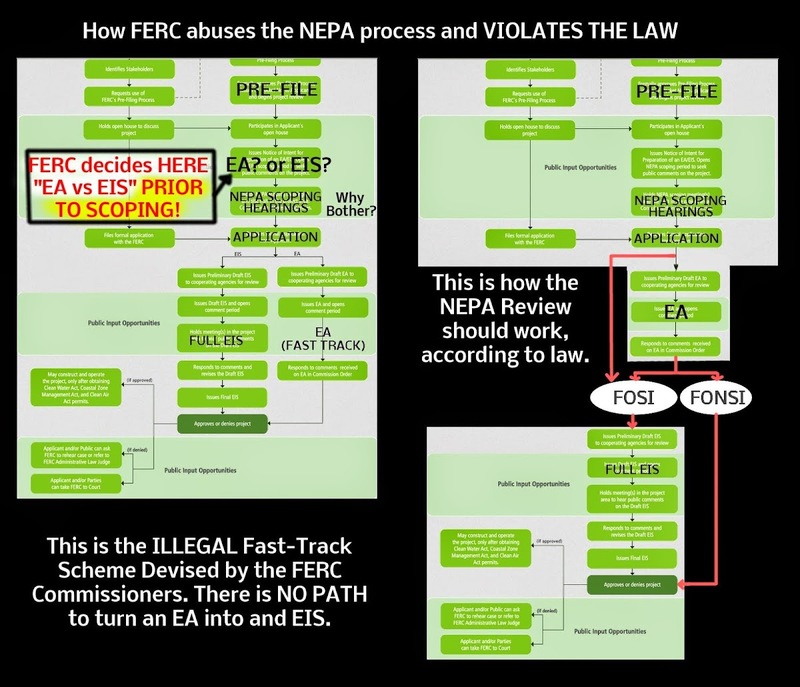 in comments on dozens of FERC dockets I have examined. But these complaints are ignored. such application shall be denied." 15 USC §717f(e). Necessity. They just look the other way, take their permit fees, and keep issuing more permits. 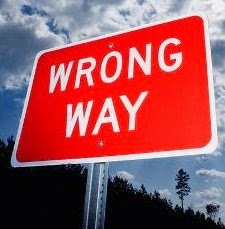 So we cannot look to the federal government to follow the law. and deny these illegal permits. 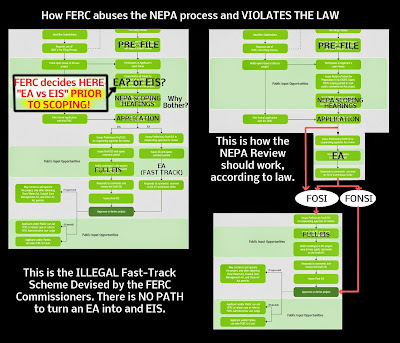 Another way that FERC is violating the law is by an abuse of NEPA identified by Maya von Rossum, of the Delaware Riverkeeper Network, which permits for projects with major environmental impacts under a Fast Track process using a short Environmental Assessment (EA), and not a full, multi-year Environmental Impact Statement (EIS). Crestwood Arlington methane storage facility, FERC docket # --CP13-83 "only" 2,194 tons per year in Greenhouse Gas emissions. This is like 22 coal cars of junk going into the air every years. PS: this only includes emissions from the compressor engines, and does not include fugitive emissions, e.g., pipeline blowdowns. -- FONSI: No significant impacts. EA only -- NO EIS. 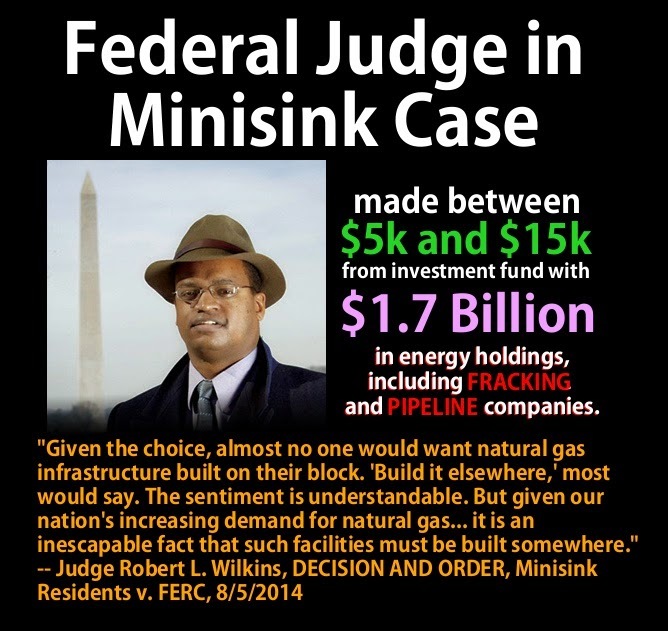 Minisink Compressor -- FERC docket # CP11-515 -- 61,751 tons per year in emissions. This is like a coal train 6 miles long. FONSI: No significant impacts. EA only -- NO EIS. Hancock Compressor FERC, FERC docket # CP13-14, 70,438 tons per year. A coal train 7 miles long. FONSI: No significant impacts. EA only -- NO EIS. Dominion New Market Project -- CP14-497 -- 200,000 tons per year in emissions. EA only? (heading that way). This is like a coal train 20 miles long. Dominion Cove Point LNG -- 2.0 Million tons per year -- FONSI: No significant impacts. EA only -- NO EIS!!! This is a coal train 200 miles long. And BTW, the courts are rigged in various ways, and not surprisingly, rarely enforce the law to protect people and property from harms. "I don't see how any of these cases are winnable". 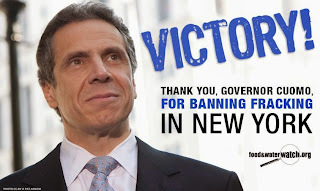 and NY's "legally binding prohibition of high volume hydraulic fracturing in the state." on the health impacts of fracking, saying the risks are too great. 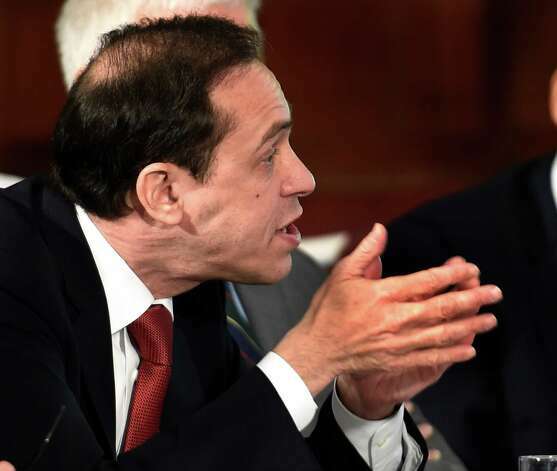 "I think it would be reckless to proceed in New York until more authoritative research is done. I asked myself, 'would I let my family live in a community with fracking?' The answer is no. I therefore cannot recommend anyone else's family to live in such a community either." What about the people of NE Pennsylvania? Susquehanna River Basin Commission these last 4 years? 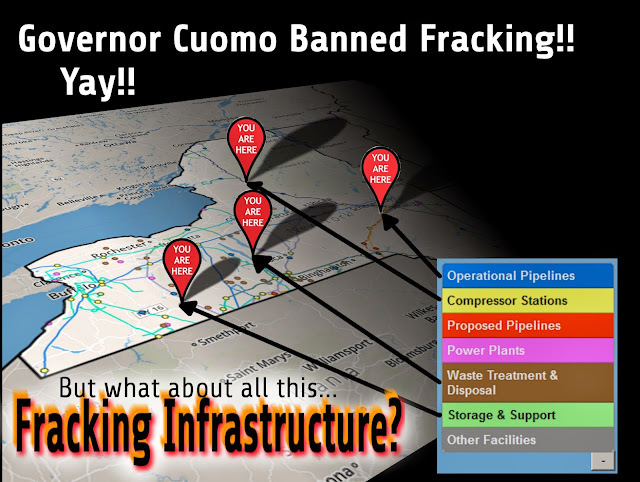 What about all these pipelines, compressor stations, and toxic waste facilities? But we are expecting more of the same... Much more. Our communities are under attack, an INVASION of FRACKED GAS INFRASTRUCTURE. these project are causing grave harms to NYers ...TODAY. we are developing with him, and looking for his support of clean, renewable energy. CNG / LPG / NGL storage projects at Seneca Lake. Meaningful relief and remedy to the people of Minisink. AND ALSO-- If Fracking is unsafe for the people of NY, then it is unsafe for the people of PA. Therefore, will will expect a NO vote coming for all new water withdrawal permits from his representative on the Susquehanna River Basin Commission. See you at the DEC hearings! Great info sharing bill, thank you!